meaning slogans, may lead to negative attitudes and preferences. WU, Wann-Yih et al. 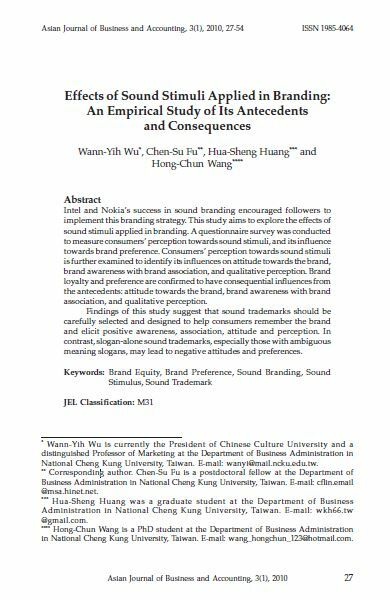 Effects of Sound Stimuli Applied in Branding: An Empirical Study of Its Antecedents and Consequences. AJBA, [S.l. ], v. 3, n. 1, june 2010. ISSN 2180-3137. Available at: <https://ajba.um.edu.my/article/view/2221>. Date accessed: 25 apr. 2019.